Many times we need to add a watermark to our site images to protect them from unauthorised usage. Adding a watermark is a good practice if you are creating images for your website like tutorial images or you have some exclusive pics you have taken. We have reviewed and collected some worthy tools to add watermark to images quickly. They should have been given a good name to this software but it names Watermark Software. It is one of the most comprehensive batch watermarking tool that you can watermark hundreds of images within a few seconds. This software provides advanced options such as watermark image drag repositioning, transparency, blending and much more. 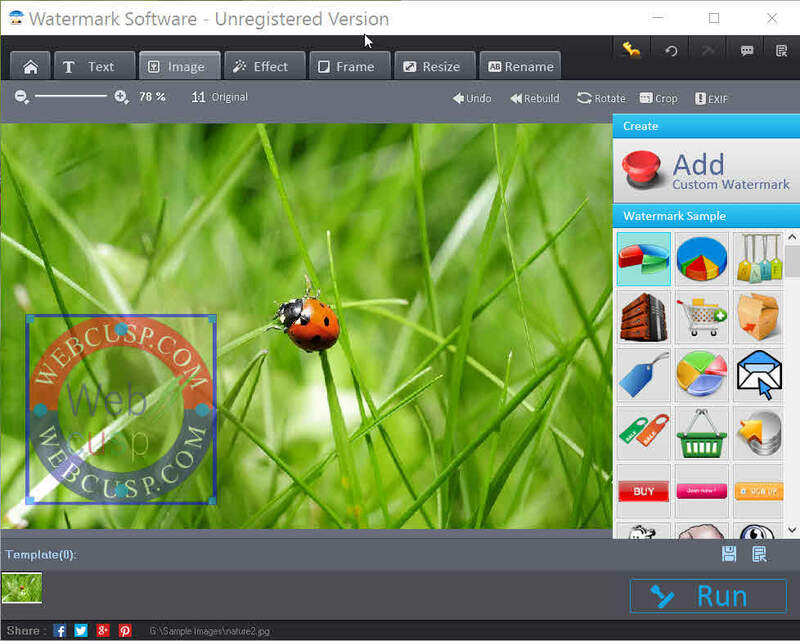 uMark is another efficient watermarking software available for both Windows and Mac. With the help of uMark, you can add watermark to several images at once. Just like above given tools, Visual Watermark is a powerful and advanced solution to print watermark on all of your images with a click. 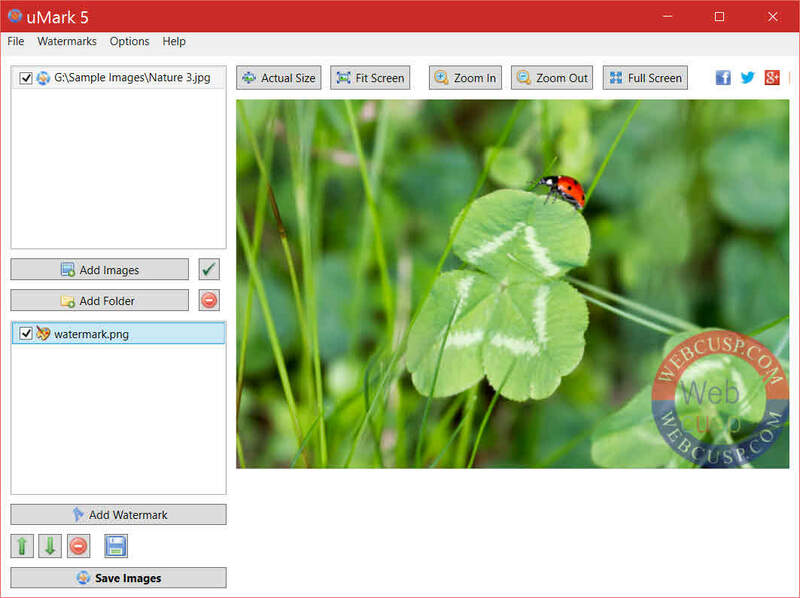 With Visual Watermark, you can add text or image watermark. You can drag, resize and reposition watermark text or image easily. (but one thing that is missing is maintain aspect ratio while resizing). 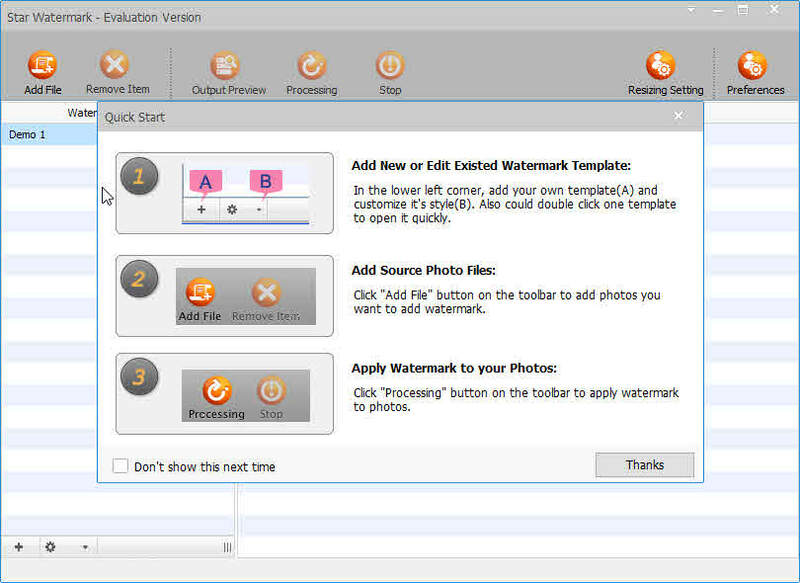 TSR Watermark is a powerful batch watermarking tool available only for Windows operating system. With the help of TSR Watermark software you can add watermark to several images with a single action. 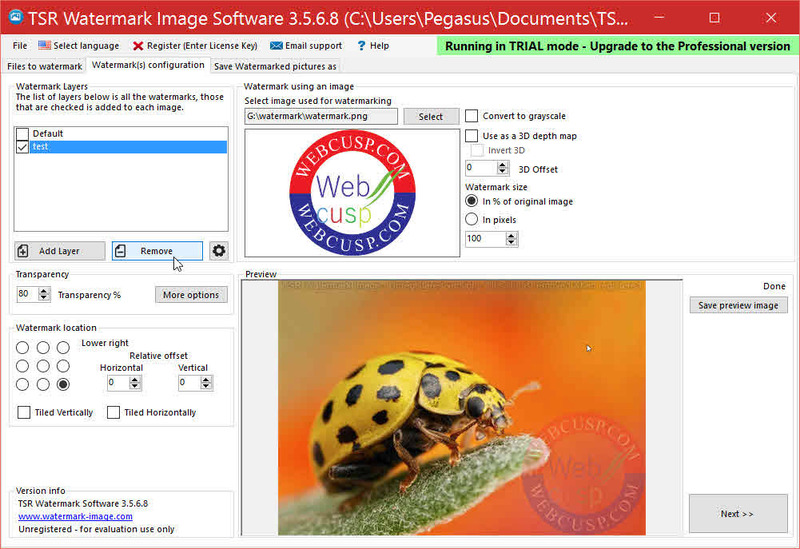 This tool lets you decide whether a text or image watermark should be added. It has several options to enhance watermark image such as transparency, resizing and emboss effect. 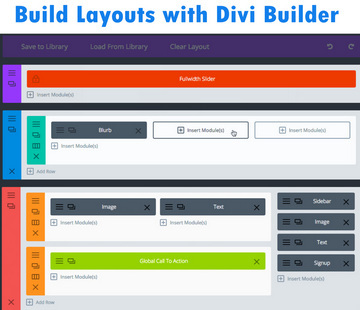 You can resize output images and also apply several settings available. Snagit is specifically a screen-capture and editor software but also comes with batch image watermarking software. 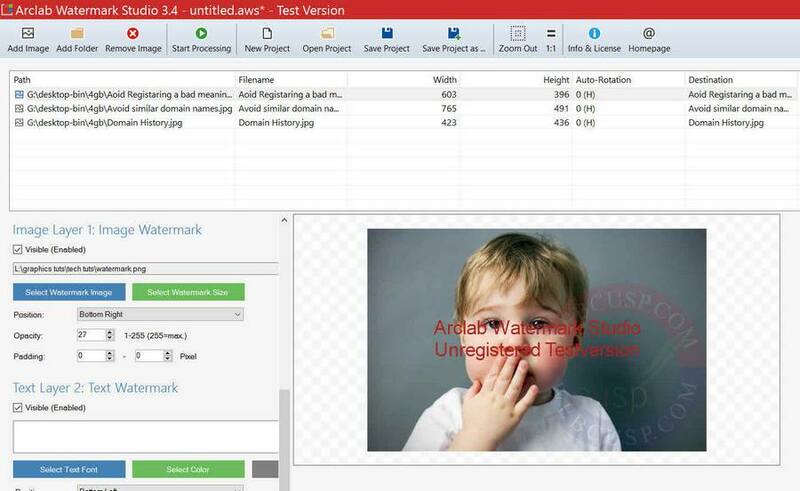 Its batch watermarking tool lets us apply any custom image. 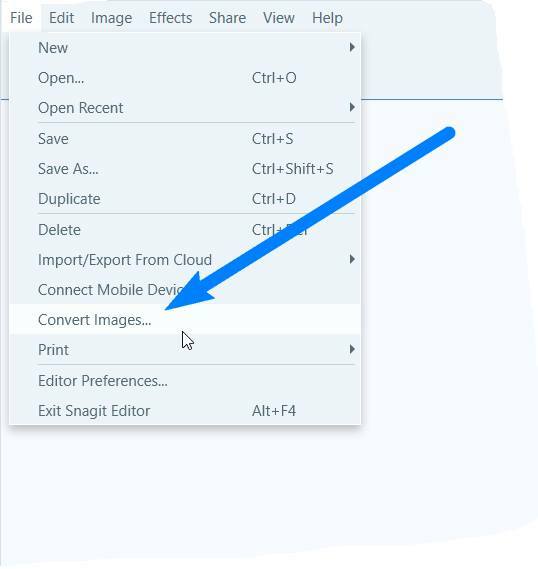 Snagit allows to add only image watermark. But who cares for text or image. If you want to add text watermark, create text image and add it as image watermark. 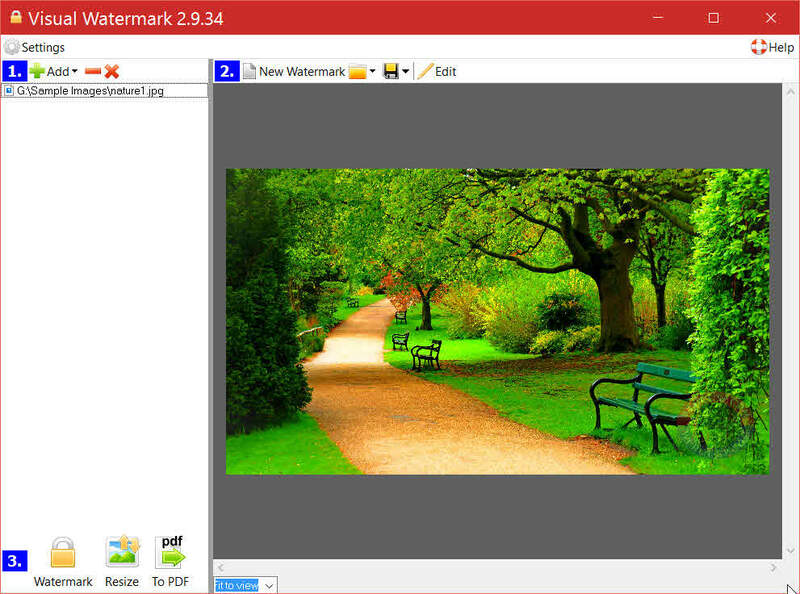 A free watermarking software that currently supports text only watermarking. Jaco Watermark is an Open Source project and can be downloaded from Sourceforge website. 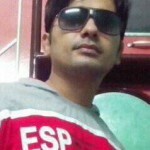 Tip – PhotoShop can also be used to apply watermark with minimum effort. Choose the folder where all the images are located that you want to apply watermark to. And execute the action. 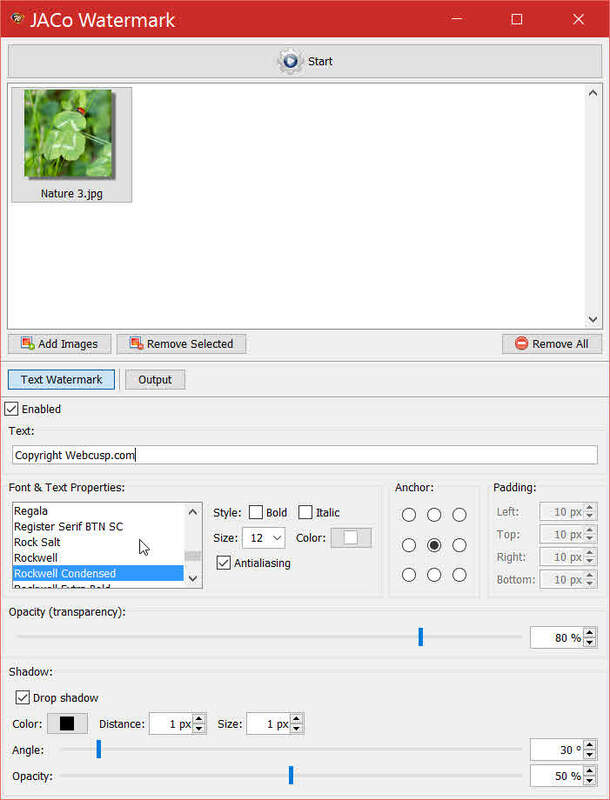 PhotoShop will add the watermark to all images in the supplied folder.